Wolters Kluwer are proud to announce its relaunch of Revista Brasileira de Arbitragem, a quarterly journal established in 2003 covering national and international arbitration as practiced in Brazil or seen from a Brazilian or South American perspective. The journal is aimed at practitioners and academics working in the field of arbitration. Leading articles by internationally renowned specialists ensure that you stay up to date with trends, developments, cases and procedural issues relating to arbitration in Brazil and South America. Each issue of Revista Brasileira de Arbitragem covers both national and international doctrine though articles, selected arbitral jurisprudence, annotated cases, landmark decisions, recent developments, book reviews and a “review of the reviews”. Easy to use, each issue is introduced through concise ‘Carta do Editor’ introductions which give a quick insight into the contents of the issue whilst expert indexes make it easy to locate the content you require. 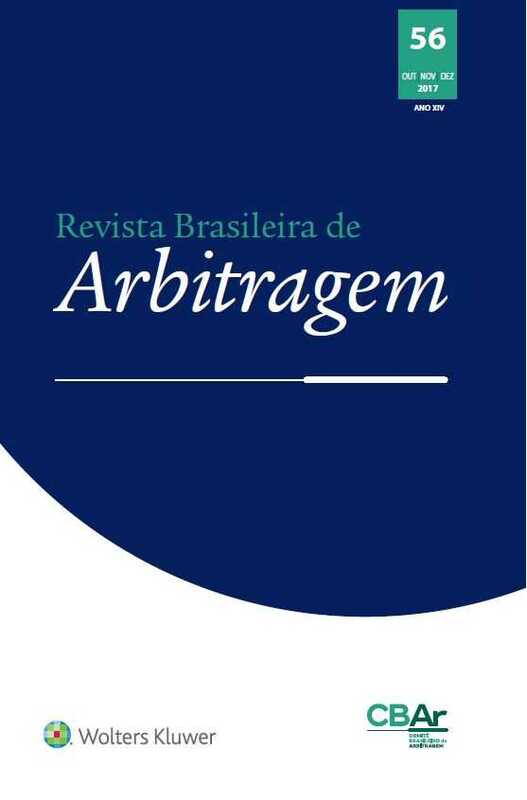 Revista Brasileira de Arbitragem is the essential journal for the study of arbitration in Brazil. Providing up to date coverage of cases and procedural issues, backed by expert commentary that identifies and explains the latest trends to ensure full understanding.